The subject of today’s post is a quote that is often misattributed to Walt Whitman. The correct source is actually Henry Miller. Read on to learn who is responsible for perpetuating this misquote. 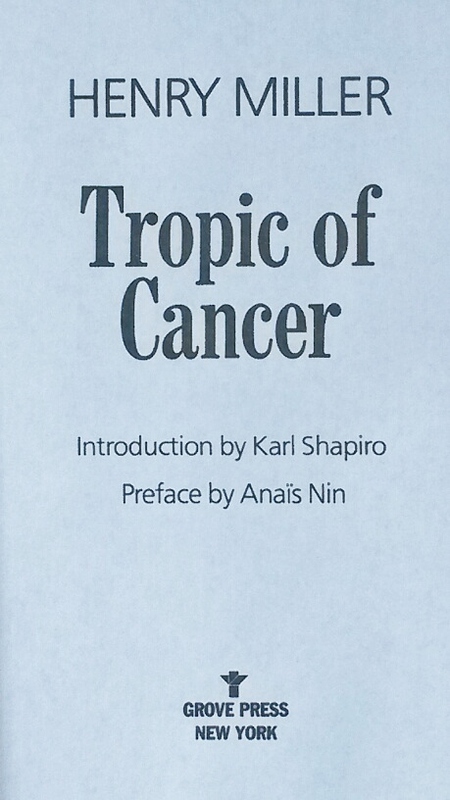 Henry Miller’s novel Tropic of Cancer published in 1934 is the work in which the quote is found. Here is the quote featured in chapter 13. Here is the book title page. After surveying 115 websites featuring the misattributed quote, I found the following trends. In a rare twist of events it is not the usual quotes-only websites that are the major offenders in propagating a misquote. Out of the 115 websites featuring this misattributed quote, I found it is social media that is the main culprit. As I have discussed in previous posts, the quote virus thrives through social media. Every time a misquote is posted on a social media website, it becomes a contagion waiting to be spread via sharing, retweeting, repinning, etc. Much like a physiological virus, the quote virus multiplies by moving from a single person to all others who follow that person, and each of those people spread it to all of their followers who spread it to all of their followers and so on and so forth. Most quotes found on the internet and in quote books simply attribute the author of the quote and do not include the work in which the quote is found. However, today’s misquote is unusual in that 37% of the websites I surveyed cite Walt Whitman’s poetry anthology Leaves of Grass in addition to his name. Clearly whoever originated the misquote included the work and then most people who propagated it copied the entire citation. So not only is the author incorrect but the work of origin is incorrect. I came across a book of quotes published in 2014 that includes today’s misattributed quote. This author clearly did not research her subject matter and, unfortunately, will now be another source of misquote propagation. As I’ve mentioned before, just because a book is solely dedicated to quotes does not mean it contains accurate quotes. Be wary of quote books that do not include detailed source information. 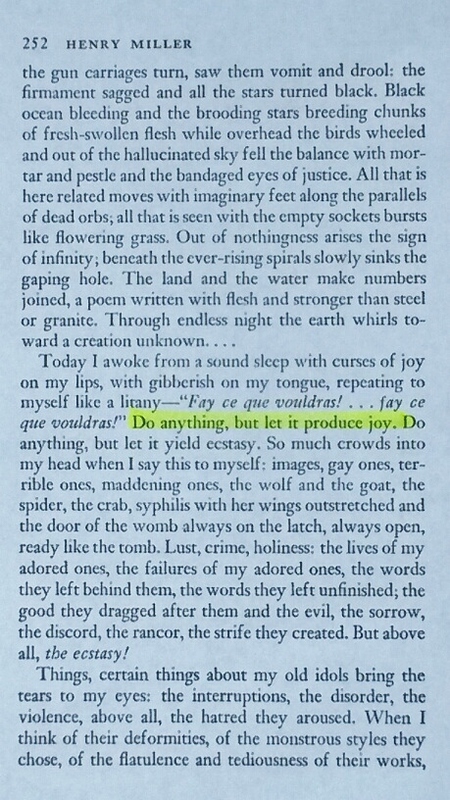 For example, if Leaves of Grass is cited, it should include the title of the poem and the section and line number(s) featuring the quote. The author’s name alone is not sufficient. Unfortunately, the quote virus has infiltrated our educational system. I came across two elementary school websites featuring today’s misattributed quote on teacher bios. It is disappointing that a teacher wouldn’t take the time to find a legitimate quote out of a work s/he actually read. A school is the one place one would hope to find reliable information. With the proliferation of so much inaccurate data on the internet, this is not the case. Even educators have fallen victim to the quote virus. I came across an e-book service that offers Leaves of Grass as a free download. The funny (sad) thing is that the description next to Whitman’s book includes Henry Miller’s quote. This is obviously very misleading. I also stumbled upon a rare books website selling a second edition of Leaves of Grass for $15,000. This website also places today’s misattributed quote next to the Whitman’s book. More false advertising. I discovered a floral design business actually called Leaves of Grass Designs, and the misquote is the first thing listed under the website’s “About” page. It is followed by claims they will bring “joy” to your event and that their flowers are “joyful.” Clearly, this business was named after a misquote. There are many websites offering misquotes for sale, and today’s misquote is no exception. For example, I found t-shirts ranging from $17.95 to $20.95 as well as greeting cards in a box set of eight for $24.00. I would say that’s a pretty good profit for flawed merchandise. I will close once again with a plea to you, dear reader, to help kill the quote virus. Please practice safe quoting by following the tips on my “What You Can Do” page. You can also help by sharing the knowledge. Forward this post to family and friends or “like” my Facebook fan page or follow me on Twitter. And remember: don’t trust any quotes sent to you via social media. Check them out before sharing them.